Maestro Media is a premier website design & development company operating from Windhoek and Swakopmund Namibia. We are experts in building visually appealing, tailored websites that ranks on Google page 1 and 2 for more visibility in order to increase sales and maximize profit. For the past 12 years, our team has implemented unique approaches that contributed to the successful completion of over 500 websites. Please visit our work portfolio page in order for see who we have been assisting over the years. We run a trusted agency, thus we did the most websites in Namibia. Look no further. 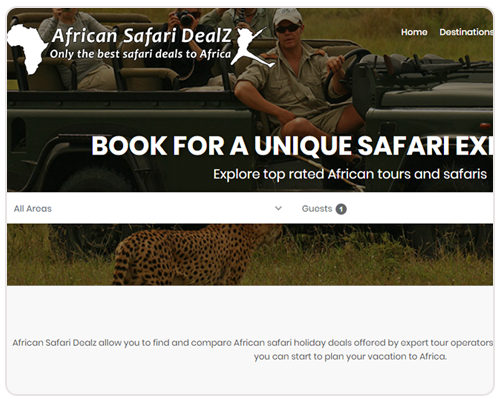 Our unique platforms help travel companies increase their reach and online presence in order to ensure more bookings and reservations online.